At this point, I am too lazy to write a proper introduction and to edit my itinerary draft. Let's hope that someday I'll be motivated to edit this out. 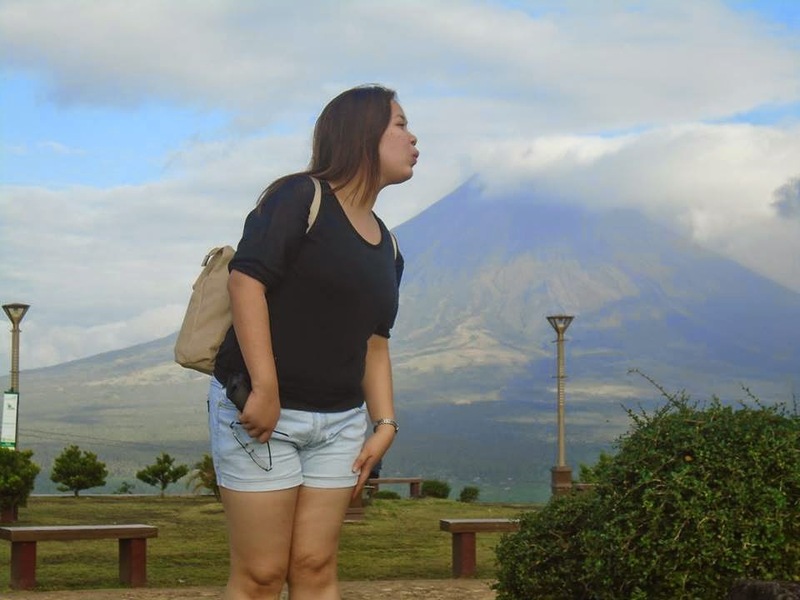 If you want to see all that Albay has to offer, you can drop the Sorsogon adventure and just tour the rest of Albay. Actually, I have an itinerary prepared for that but we decided to go with Sorsogon (I encourage you to drop Sorsogon off your list if you are on a tight schedule, lol). First trip of 2015 and i'm slowly realizing how fun it is to travel. First stop for this year were the provinces of Albay and Sorsogon. This trip isn't my first time in the Bicol region. My dad is from Daet, Camarines Norte (though only he speaks Bicolano) and we went there when I was five (or seven). 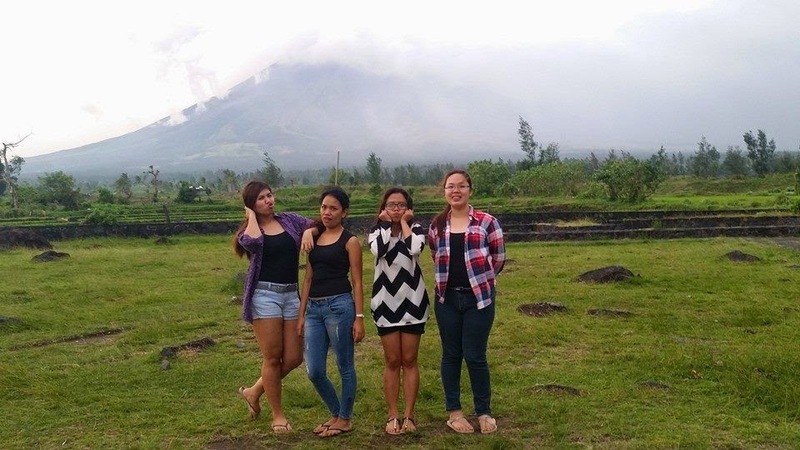 The decision to go to Albay was quite funny/childish and interesting. The primary reason was because of Daniel and Kathryn's movie, She's Dating the Gangster. Prior to watching the film, KathNiel wasn't even on my radar, however the film happened and now I am a fan. If ever you haven't watched the movie yet, about half of the movie (more or less) was shot in Albay. After seeing the almost CG-like beauty of Mt. Mayon through the film, my friend and i decided that we would go there. Aside from that, I pride myself at being a Philippine history lover (a product of being a history contestant all throughout my school days), and you all know how historic the Bicol region is. It was in August when we booked tickets through Cebu Pac's Piso fare and at that time, Albay would've been my first out of town trip* with friends (using my own hard earned money). Our trip (with my three officemates) happened last Jan. 23-25 and it was a DIY one. The thing is, I think I'm that person who is 'obsessed' with planning trips and the like. Probably because at the back of my mind, I was focused on starting my own travel blog, lol. There's this joy in organizing an itinerary and seeing it come to fruition although lots of stress could fall on you while doing so. For this trip, I will be providing you with details about our Bicol adventure (itinerary, expenses, tips, etc) because I have first hand experience on how hard it was to plan and budget the trip and I would love to help everyone who is experiencing the same dilemma. 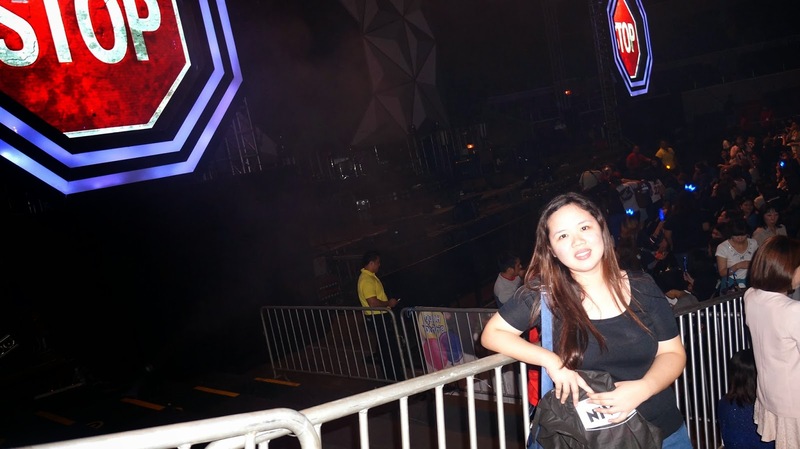 The climax of my CNBlue in Manila blog series. The "funny" thing was, I brought my digicam with me but I never took a single picture all throughout the concert. As I've told my friends, it's as if my heart and soul left me (they said that if they knew I would be that "behaved", they would have given me the cam to record the concert, lol)! The pictures that will be used in this post came from my friends' cameras. We would have gotten the SVIP ones if we had called Marco Polo earlier but during the concert itself, we discovered that if we did, we would not be able to see CNBlue up close. See how if any of the members look our way we would be the first one they'd notice? My thoughts? Hell to the yeah! CNBLUE has the total package. They were so enigmatic on stage that even the Filipino staffs closest to our side (which I'm 100% sure aren't into KPOP) couldn't take their eyes off of the stage (and they were all guys). They would even stoop their necks when the boys would take a break from performing. The thing that did not escape my notice about CNBlue during their Manila concert was how much they enjoyed performing for the crowd. Even if the arena were half full (I'm pretty positive they knew many fans were not able to make it because of the floods and the storm ) they still gave it their best. Although frankly it didn't start that way. When they first came out of the stage, I felt like they were performing just for the sake of performing. They were there playing their instruments and singing their song but I did not feel any excitement (I knew Yong Hwa was tired so I understood where they were coming from). It was only Jung Shin who showed signs of playfulness early on. 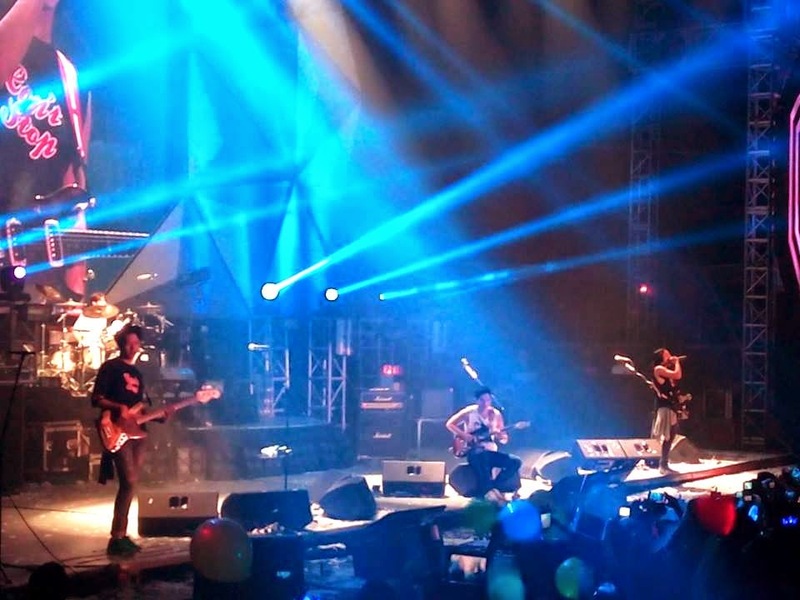 I was starting to doubt those people who told me that CNBlue's concerts were always a blast. HOWEVER, at least two songs after, there was a shift in the overall mood of the concert. Suddenly, Yong Hwa was getting his groove back. It was from that point on were I can tell that the boys were honestly and truly enjoying the moment. It was really nice knowing that the Filipino crowd brought out the best from the boys. You could see in their aura how much they enjoyed performing out there. 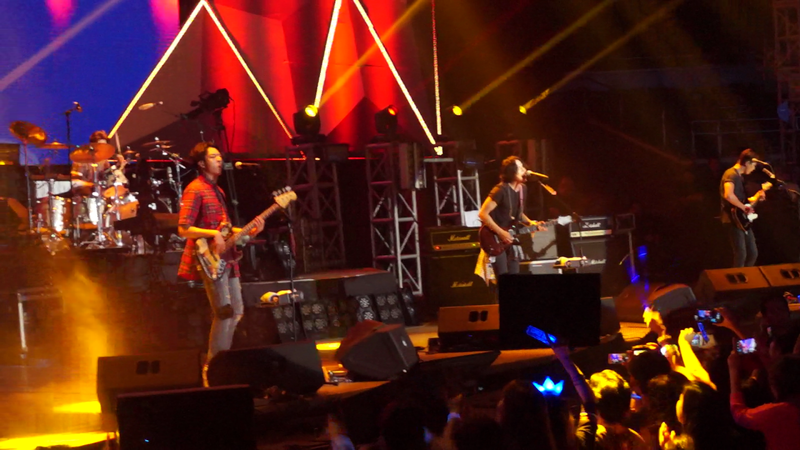 Jung Shin was hyper all the time! Jong Hyun was all over the place! My friend remarked that seldom it was that he did that (from the concerts of them that I've seen he, aside from Min Hyuk, was always stationary!) He even played with the drums! I was so glad that I was able to witness Jong Hyun being makulit. I love it when he becomes childish. 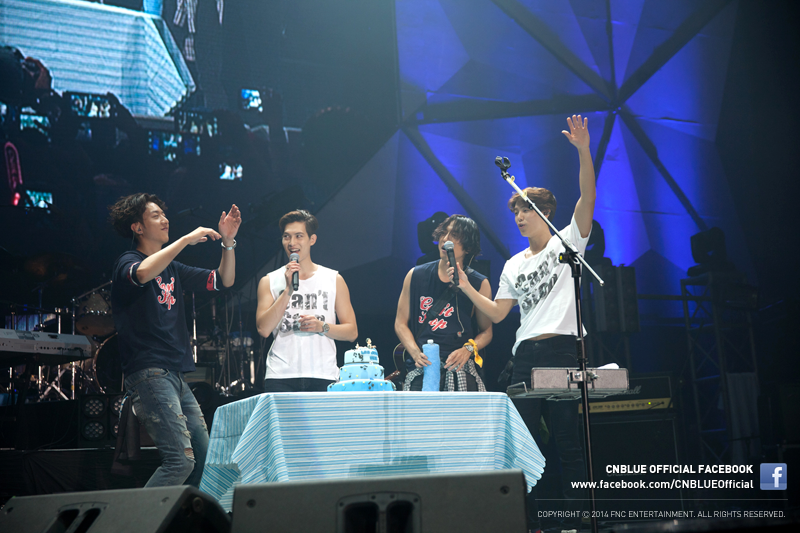 I loved it when he was acting like it was his birthday (because he was in front of Jung Shin's cake). The first thing that I would remember if someone asked me what I remember from my very first CNBlue concert is how good they are live. 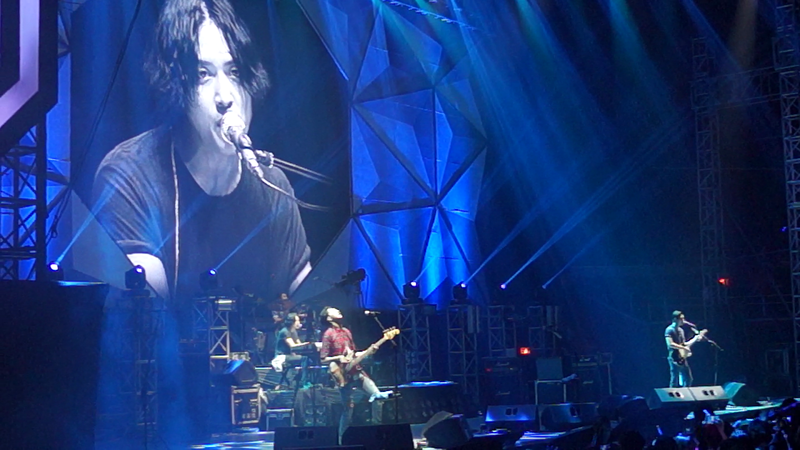 If I were to specify it, I was in awe of how amazing Yong Hwa's voice is. I knew that he could reach those high notes but I have never heard him live nor have I heard him singing high notes all throughout a concert. Out of all the members that night, it was Yong Hwa who caught my attention. His vocals has definitely improved! I've been into rock songs/bands for a while and it's quite usual for lead vocalists to damage their vocal cords (think Jon) but the way Yong Hwa was belting those notes was unbelievable. It was effortless and I knew he could do it all night long. I swear my eardrums were damaged after the concert. I'll be frank in saying that from the setlist played/sang during their Can't Stop Manila tour, only a few of my favorite songs were included. It is rather unfortunate that most of my favorite songs were in Japanese (or where released a few years back). The good thing was, even if that was the case, I thoroughly enjoyed every song played. Imagine more if most of my faves were played? I was looking forward to them singing Rain of Blessing (it is my favorite CNBLUE song) but I was a bit saddened that they didn't sing it (I was hoping they would because it was included in the setlist of their other Can't Stop Tour - that's according to the internet). BUUUUUUUUUT, from that heartache, a new favorite song was found. Daaaaaammmmn. This song touched me deeply. The boys' performance was so raw and emotional that I could not help but stare at them with my mouth wide open (I am exaggerating). I was eargasming just by his voice alone. It was this performance that did it for me. I was a Jong Hyun fan but hearing Yong singing this song solidified my love for him (okay I think I'm still torn between the two, haha). 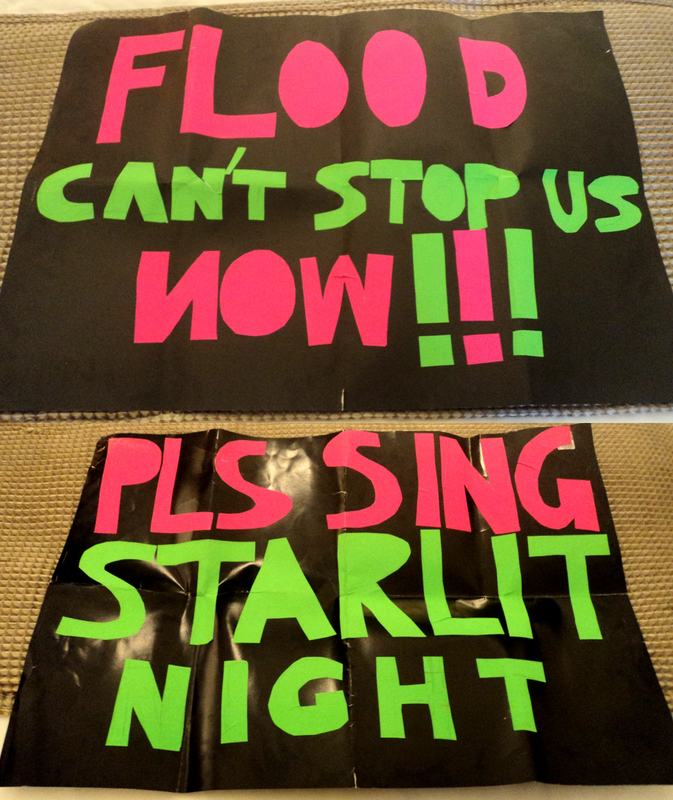 Aside from seeing them perform live, one of the things that made their concert memorable for me was how they kept looking at our banner. I ain't kidding. Even if they were looking at our "banner", it felt like I was also being looked at (haha, dream on girl). 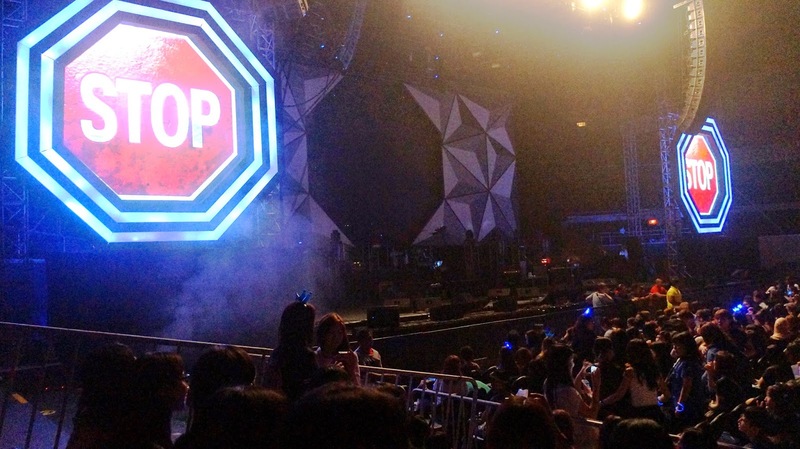 It was Jung Shin who first noticed our banner (because he was the closest). He would always look our way (we were lucky because we were in the "front" and that there weren't many people on our side). Yong Hwa also noticed it! And I would always observe his expression everytime he did so. 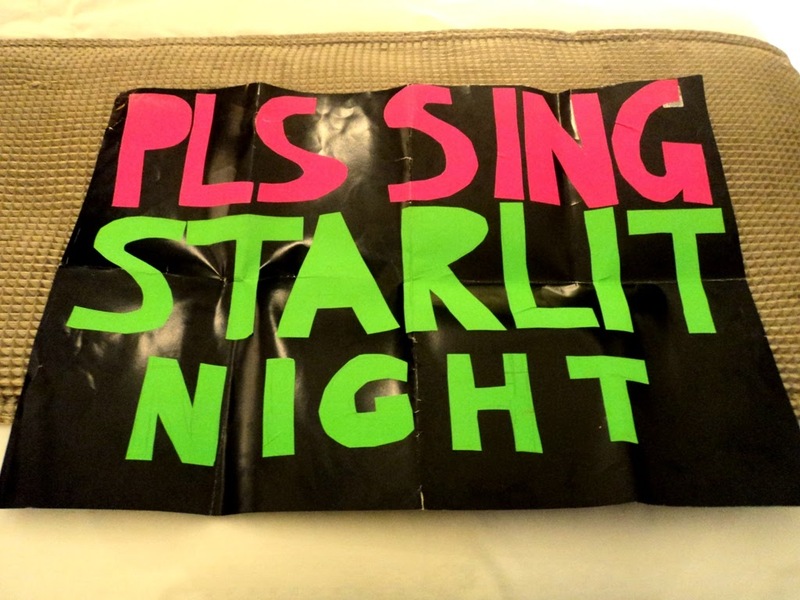 Yshel and I were frequently interchanging our banner but whenever Jong Hyun came to our side, I would tell her to show the Starlit banner one because it was Jong Hyun's song (and it was the song that made me love CNBlue). There were times when Jong Hyun would glimpse at our side but I could tell that he was not able to read it. 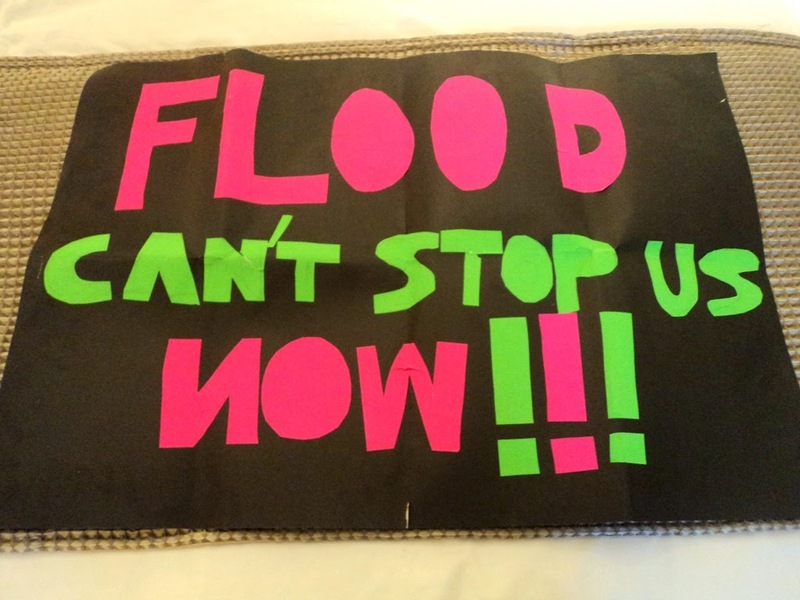 However, there was this one time when he finally saw and read our banner (with the song request). He stared at it for at most five seconds? ANDDDD ohmo, my knees almost literally gave out. It was a few seconds of contact but it meant the world for me and Yshel. I think Ate Monette captured that moment on her cam and I would post it as soon as possible. Overall, despite the things that we went through and the comments from the people around us reminding us of "wasting" money on such things, I would not trade anything from the experience that we had that night. It was one of the best moments of my life :) I am so glad that for once in my life, I gave in to spontaneity. Look at where it brought me, I was able to fulfill one of my dreams. Continuing on from my first post about getting our hands on the tickets, I will then detail the "hardships" that we encountered on our way to the concert. Thursday night, our main problem was what words/phrases should we put on our banner, little did we know that that was the least of our concern. Thursday night, it was all over the news that Mario will make its presence known in the country. Metro Manila will not be along the typhoon's path but the storm would intensify the monsoon which will then bring intense rain in the Metro. I wasn't much bothered by it thinking that even if it rains, we could still go to the concert. However, at around 3am (D-Day), the rain outside woke me up and I was terrified because at the back of mind, I knew that if the rain continued on, it would cause us problems later on. I was not able to go back to sleep and just went straight to work. Prior to the concert, Yshel and I asked our superiors that we would leave the office at 2pm (Ate Monette took a leave and would supposedly meet us at the hotel). Hours before we leave, news about the floods in most part of Manila and nearby places reached our ears. I was intently praying for the rain to stop. When the clock struck 12, I was doubtful on whether I should go on or not. 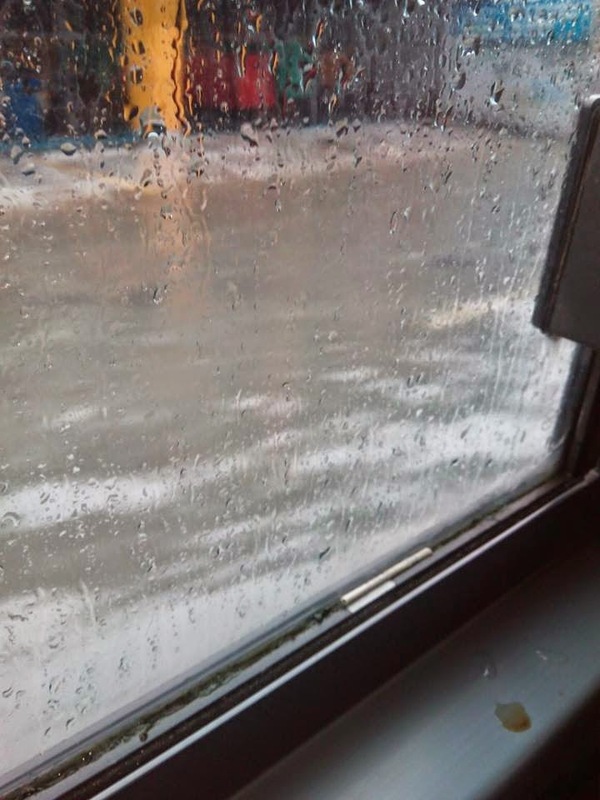 I really really wanted to go to Araneta but I was afraid of the flood. My mom has called me asking me if I would push through and I told her that I would think about it. There was even a time that I was hoping for the organizers to cancel the concert but thankfully they didn't. At one, I asked Yshel whether we should go or not, she told me that it was up to me and Lizette. Honestly, I am very thankful to Yshel, if not for her, I would have backed out. Anyway, it was Yshel who always told me to think positive and to not think of the worst. When we were about to leave, I called my mom and told her that I would still go, from her voice alone, I knew that if I was in the house and I told her that I would go, she would not allow me, but since I'm at the office, she can't stop me! lol. An hour before we left, the red rainfall warning was issued in Manila and Cavite (where we live/work). That didn't hamper us, however the first major problem that we encountered was the lack of buses. It took us 30 minutes (?) to finally ride one (the rain and wind were unbelievable) and when we reached Baclaran, we walked a little and luckily an Ortigas-bound bus came along. We were originally opting to ride the MRT but the jeepneys were scarce and if there was one, it was full (we were all carrying heavy backpacks and paperbags). After that, it was a bit smooth-sailing for us (except for the occasional traffic). The bus dropped us off at SM Megamall and from there we waited for a taxi that would take us to Marco Polo. The ride to Marco Polo took us 5 minutes? The wait for the cab took as an hour but we were still grateful that we were a short distance away from our destination. What seemed impossible in the beginning was made possible by our faith and determination. The funny thing was, Lizette told us that the storm was like a test for us. It was testing us of our loyalty to the boys. Frankly, I'm not into KPOP anymore. Prior to CNBlue, there were only three KPOP groups that I liked: DBSK, Super Junior, and Shinhwa. I was so gaga over Super Junior a few years back and when I got to know Shinhwa, I never looked back (I still like SuJu but not that much anymore). Shinhwa is my number one group but when I got to know CNBlue, they were a close second. I ain't comparing them because they are different in so many ways but suffice it to say that I love them equally (I have loved Shinhwa for a few years now so you know how attached I can be). When SuJu went to the Philippines for the first time, I was devastated that I could not go because I was a student and I would never ask my parents for such extravagance but now that I am making my own, spending big on CNBlue just felt right. Not really into posting pictures of myself but this is an exception. Upon arriving, we were greeted by ladies in dresses, men in suits and foreigners! It was really a shame. How we wish that we could have fixed ourselves but given the things that we went through, we were happy just to arrive safely at the hotel. The hotel was so posh. 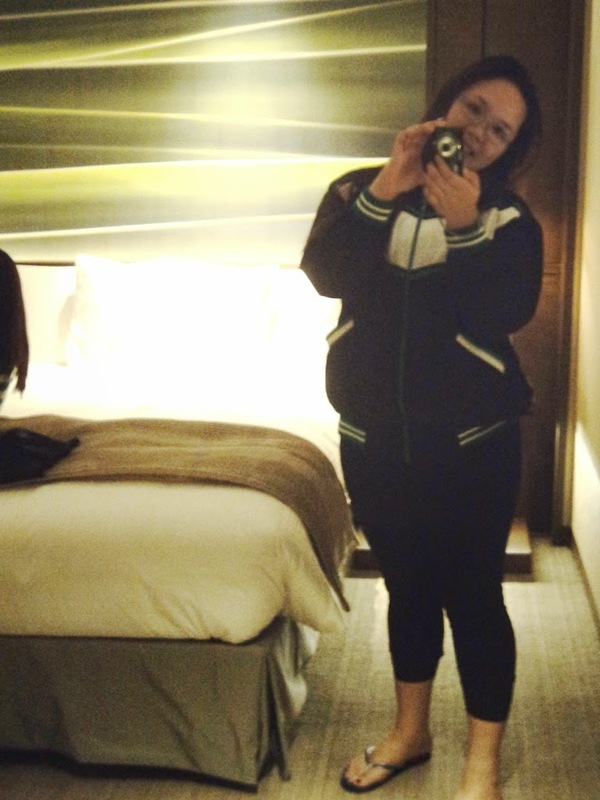 It was my first time staying at a hotel (a bummer, yes) and I wasn't disappointed at my choice (forgive our messy room!). The "N" is inverted, can't do anything about it since we ran out of paper! 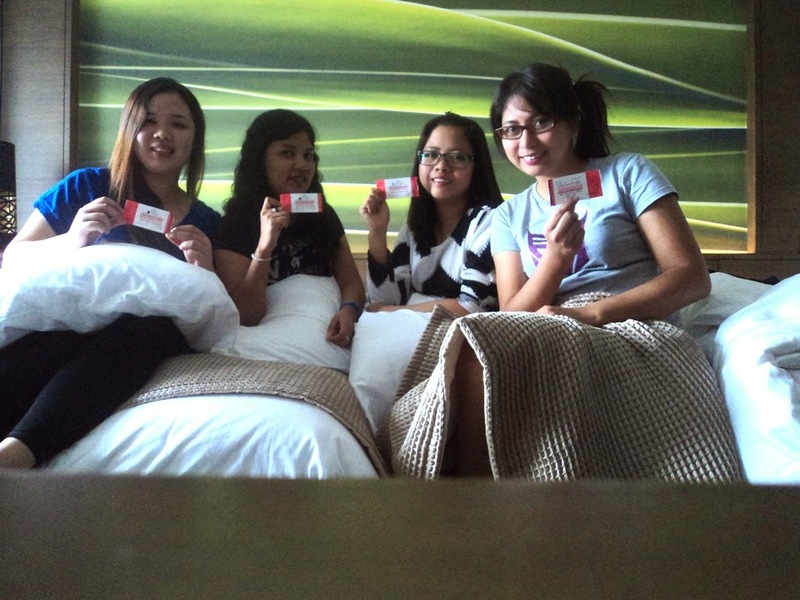 Ate Monette was not able to meet us at the hotel since she left home rather late. She lived in Rizal and if we thought that our travel to Ortigas was hard, she had it harder. She left home at around 5:30 pm and she was forced to tread on waist-deep water just to go to Araneta (she jokingly told us that she can't afford to not go because she had all our tickets! haha, but we were so thankful to her). The thing is, Ate Monette told us that if we wanted the chance to see CNBlue in the hotel, we should book a day before the concert (since CNBlue has a tendency to head straight to the airport after every concert) but we told her that it was more practical to book it the night of the concert since it will be stressful to commute home late in the night. Also, I thought that CNBlue would at least stay the night after the concert (to rest) and given the weather condition that day (with flights getting cancelled), they would probably wait until the skies clear. However, after the concert, we got the heartbreaking news that they went straight to the airport :( We were really speechless at that point :( Heartbroken is a more appropriate term. I then remember when we were about to enter the elevator, I saw some of the Korean staffs at the concert going out (they were probably going to the airport). Anyway, what was done was done and we could not do anything about it so we just decided to have a CNBlue marathon at our room (plus it didn't hurt that as we were about to go to the elevator, there was this nice lady who gave us CNBlue freebies!). Lol. Before proceeding with my CNBlue in Manila experience, I will bore you with the lengthy details of how I got into the CNB fandom. Basically, I have heard about the band ever since I saw Yong Hwa in You're Beautiful. I never did research on the band, all I knew was that they were under the same label as FT Island (I was into FTI for a bit a long time ago). Come January last year, one of my officemate, Yshel (a full-pledged Boice), was playing Eclipse and I asked her what song that was. I think that marked my interest in the band. However, it was in the beginning of April (or late March) where I started honestly liking them. I have to thank the song Starlit Night for that (and Jong Hyun's otherwordly beauty). 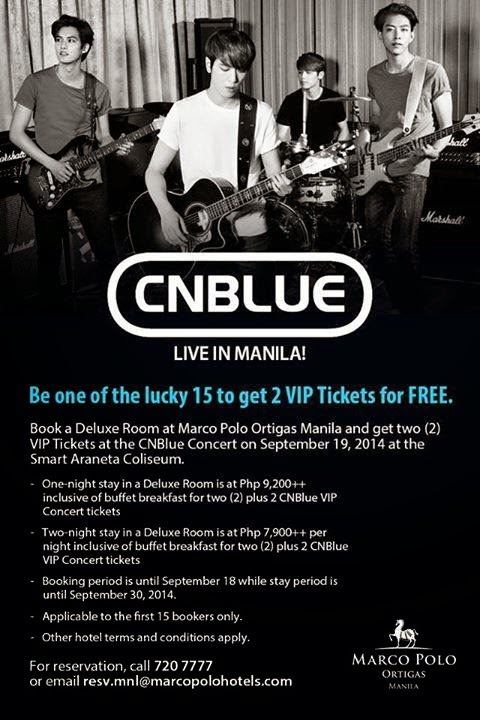 Come August, it came to my notice that CNBlue would come to the Philippines, Yshel was urging me to go with her, however, I was a bit hesitant because the cheapest ticket was a bit pricy and I told her that if I were to watch a concert, it was either the cheapest or the most expensive one. My thriftiness got the better of me, I told her that I won't watch and I'll come with her next year. Fast forward to September, Yshel told me that she has already bought a ticket to the concert (the cheapest one). I asked her where will she stay after the concert and she said that she would stay with Ate Monette (another officemate of mine). From that point on, I was seriously considering going with her just because. 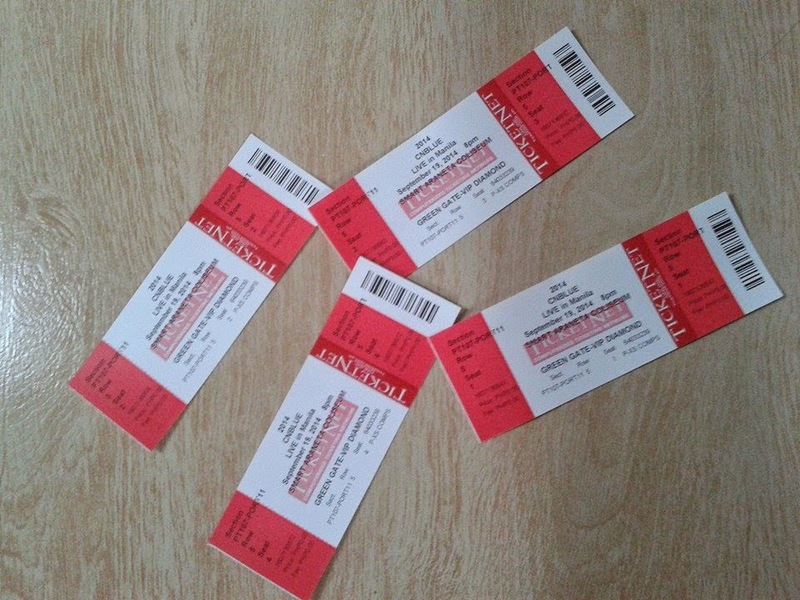 My will to buy a ticket strengthened when I talked to Ate Monette (she was also considering buying a ticket). I think it was last Tuesday (Sept. 16) when my kakuriputan has won over me and I told them that I would not go (for real). 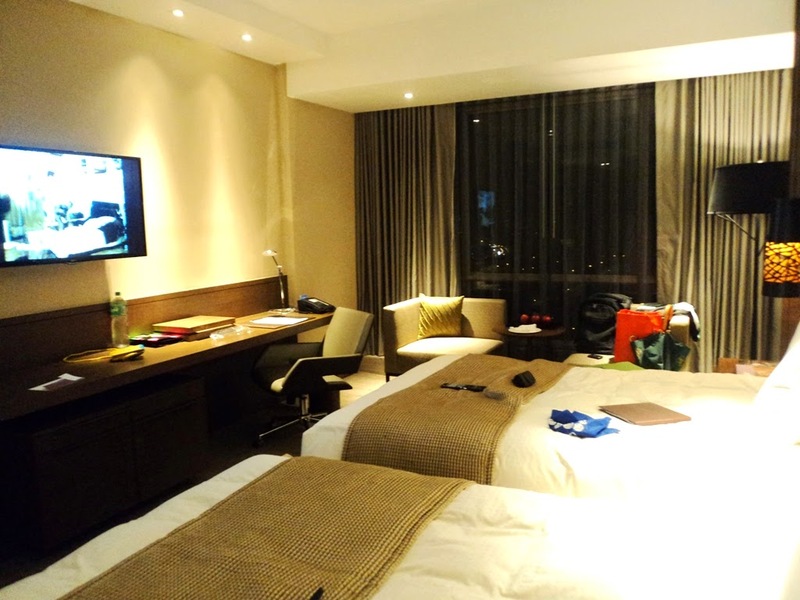 * Searched Marco Polo's site and a one-day stay alone costs like 5k plus? * But since it's a promo, one could avail both for at at most 6k (tax, etc, included)! * Watching a concert live in a VIP section is more than what I asked for. After thinking for ten minutes, I have agreed to "buy" a ticket (together with my officemates). When Ate Monette called Marco Polo, there were I think six more slots left? As it turned out, the first five callers got the SVIP tickets, and the rest were VIP Diamonds'. It was a little heartbreaking that we were a few calls short of getting the most expensive ticket BUT I tell you, after watching the concert, I would not trade my VIP Diamond ticket to the SVIP one (more on that on my succeeding posts). So here's the thing, I spend more money on my medications than I do on my savings (on a monthly basis). I try to save at least 2,000 pesos per month but when I computed the money that I spend on my meds, the total amount shocked me. For almost two years now, I take two kinds of medicines daily, one to keep my cholesterol level low, the other one for my uric acid. About half year ago (I think), I learned that my SGPT level is high, since then my doctor has prescribed a daily medicine for me. For two months, I was taking this liver supplement twice/day. The cost per day amounted to more or less P50. When I returned to have my SGPT level checked, it increased despite me taking the supplement and so my doctor prescribed a medicine called Ursofalk once a day. Ursofalk = 67.75 x 12 = 2032.5 ; 2032.5 x 12 = 24,390! Combining all my medications, the amount that I will be spending on medication for a year would be 28,260! P28,260 imagine that! I could buy the gadget of my dreams or I could travel overseas! So much for staying healthy, though my company provides us with a health card, the medicine alone could cripple me. Knowing this, I am really motivated to start to change my lifestyle. I don't eat a lot but I don't lose weight. The only solution that I could think of is to start exercising for real. My high SGPT is caused by my fatty liver (apparently it runs in the family) and one of my doctors suggested for me to exercise because it is the easiest way to decrease the d*mn thing. Template by Zi. Powered by Blogger.